Luke (15) has been asking us for a suit since we adopted him 16 months ago. It’s been his heart’s desire. He wears dress shirts, bow ties, and all manner of fancy clothes all of his own accord. His daddy in contrast, wears mostly jeans, even to church, just like all the other men in Colorado. It’s a casual kinda town we live in. Here’s the thing. Suits are pricey, and Luke’s extremely tiny, unlike even an average 10 year old, it’s surprising how small his waist and arms are. …Getting him a suit is a whole ‘thing’ and we are growing him. Plus, he’s in 6th grade, where is he going to wear this suit? We’ve been gently dragging our feet on the whole suit thing, but have heard about how happy it would make Luke – heard about it A LOT. So, this Christmas we searched and searched and found one at a phenomenal price, Rodger’s mom altered it with the skill of an experienced tailor and one of Luke’s biggest wishes came true. It was the last Christmas present he opened. I wish I could describe the, “Yes!” and the down pumping of his fist with joy well enough. Imagine the reaction of a player making the winning touchdown at the Super Bowl. He came to both Rodger and I that night separately and said both times, “I appreciate the suit. I know other kids don’t like wearing suits, but I do. I don’t know why. I’ve always wanted one, even in the orphanage.” If you know Luke, saying this many words in one sitting is more precious to us than anything. Christmas is all about Jesus. Giving a child who had almost nothing just a little over a year ago his heart’s desire – that’s ALL to God’s glory. I can’t think of a much better way to celebrate the birth of our Lord and Savior. Adoption – you slay my heart over and over with your precious, excruciating, love for these boys I would never thought I could have. It was in the mid 1990’s when I first heard about the baby girls being abandoned in China; and my heart was so deeply touched. I traveled to China in 1996 to get my baby, Rebekah, who was 8 months old and very malnourished. She was in a loving but very overcrowded orphanage where many of the children were likewise undernourished. It was mid-winter and many of the children were sick. Once I returned home with Rebekah, I told my husband, Patrick, what I had seen. We both felt led to adopt another child but we couldn’t go back to China due to the adoption center in Beijing being reorganized and only childless couples could adopt at that time. An adoptive parent told me to look at Vietnam. Right away we saw our Seth, who was 8 months old, but he had a special need. He was born with a cleft lip and palate which was still unrepaired. My husband, Patrick went to Vietnam to get him in 1997. We saw how correctable with a few surgeries it is. Outpatient surgery is all that is needed to repair the lip and to repair the palate a child is in the hospital only 1 or 2 days. Then the door opened up for us to go to China in 2000. Patrick again traveled and brought home a 15 month old baby boy who also had an unrepaired cleft lip and palate. What touched our hearts is after we accepted him our agency told us that nobody would have adopted him if we hadn’t. He is now 17 in the Gifted Program in high school, takes college classes and makes top grades in his advanced classes. His dream is to be a neurologist someday for he says the human brain fascinates him. We later brought home Annalise from China in 2002. She too was cleft affected. Later, Andrew came home from China in 2004. Likewise, he was cleft affected as well. Then Luke came home in 2006 from China, also cleft affected. We found out that Vietnam – which had been closed for Americans to adopt – had reopened in 2007. Seth really wanted a sibling from his country. I went to Vietnam in 2007 to bring home our almost 4 year old, Caleb, who was also cleft affected. In again, in 2008, I went to Vietnam to get our baby, Jordan, who had had no surgeries on his bi-lateral cleft lip and palate. I remember getting a lot of stares but it didn’t bother me for he was a baby and he didn’t know. After bringing Jordan home, we felt we were too old for babies or toddlers. I started seeing that the older children kept waiting and waiting for families. My heart was so touched. 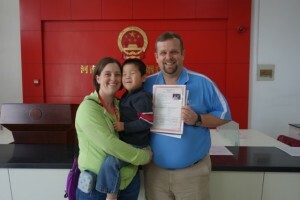 I went to China in 2010 to bring home our 11 year old, Jacob who did not have a special need except for his age. And in 2012, I went back to China to bring home 10 year old Daniel, who had a repaired cleft palate. At the time, we felt our family was complete with 10 children from China and Vietnam.’ In 2014 we were very humbled and honored when our U.S. Congressman selected us for an award called, “Angels in Adoption”. We traveled to Washington D.C. to receive this award with our children. I had always been an advocate for orphan children on Yahoo groups. However, for about 2 years I stopped being an advocate. I felt that I had to start advocating again. I joined Facebook in April 2015 of this year. I clicked on anybody to join who had a heart for orphans needing the love of families. Then, one day in May of this year – 2015 – I saw an “aging out ” boy in China. According to China’s law, once a child turns 14, he/she can never be adopted. I advocated so hard for him but nobody came forward to adopt him. I called several agencies to get their opinion. They told me that there wasn’t enough time to bring him home before he turned 14 on Oct. 25, 2015. Then I called CCAI, an agency in Colorado, which told me that they would try to help bring him home. I had my FB friends to rally around me, and a wonderful agency and social worker, CCCWA in Beijing, to expedite the process, and an “angel” USCIS officer, Brenda Langewisch, who was wonderful in expediting their approvals. I had a social worker who told me that we could bring home 2 children home, so I saw a 12 year old boy who had wanted a family of his own for many years. On October 5 of this year, my 15 year old daughter (who was 2 when she came home from China) and myself left for China to bring home our two sons. 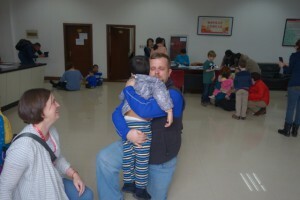 After I did their adoption process in 2 different provinces we went to Guangzhou to get their Visas at the U.S Consulate. I adopted our Samuel 2 weeks before his 14th birthday. After we arrived home and landed on U.S soil, according to Hague adoptions, our sons were U.S citizens!!! We feel so blessed to have Samuel and Aaron in our family. And, as with the other children in our family, they are adjusting well to their new family, and their new lives in America. Late last week, after months of trying to find our little friend Rong his forever family, our Waiting Child Team was nearly complete with the process of gathering his information so they could return it to China. Just prior to hitting send … the phone rang. On the line was a family asking about Rong! They said that they had seen his profile on CCAI’s website and knew it was to be returned soon with several other child files, and hoped they weren’t too late. They said they prayed for them all, hoping each would find their family, and they just had to ask about Rong. And they made it in the nick of time! With just one day to make a decision before the Waiting Child team would be required to officially send his file back to China, the family went like mad calling all specialists they could. It wasn’t until the sign they had been asking for arrived in the form of a DING on their computer which was an email from the Waiting Child team! They had sent the family some new information as well as a slew of new images and a new video. 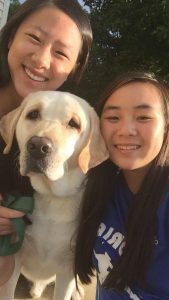 Congratulations to Rong and his new forever family! We couldn’t be happier for you all and wish you all a safe and peaceful remainder to your journey! **If you have a story you would like for us to feature during “FEEL GOOD FRIDAY” please send it to socialmedia@ccaifamily.org and maybe you’ll see it on our blog one Friday! We’d like to extend a huge congratulations to Olivia Brett (travel group #159) will be a guest speaker at the Women’s Foundation of Colorado annual luncheon today, October 14th, at the Denver Convention Center. 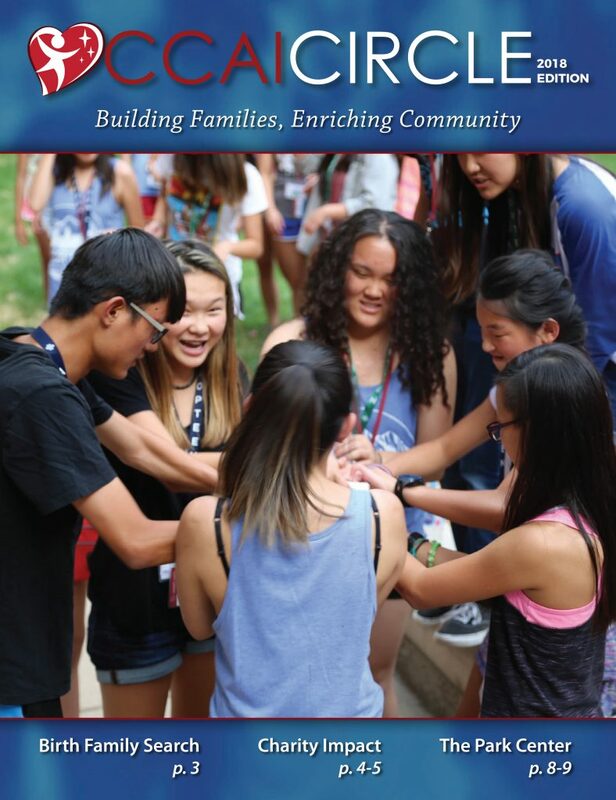 Olivia was chosen to attend the Women’s Foundation of Colorado’s annual Leadership/Stem Camp in Denver last summer and was honored to receive the Lockhead Martin Stem Scholarship. As we continue looking for families that might be interested in hosting a Chinese orphan this summer, we want to share with you how the hosting program has forever changed the lives of one of our families and a 6-year-old orphan-no-more! Last summer, the White Family decided to open their hearts and home to an adorable 6-year-old boy. During hosting, they realized he was meant to be their son! 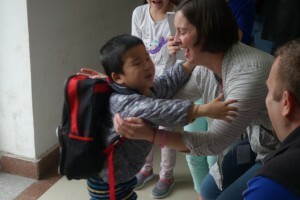 When their hosting time was up, they had to temporarily say goodbye, but knew that they would see this dear little boy again very soon, in China. They immediately rushed to complete their dossier and, this past week… the White Family reunited with their little boy!! The White Family has graciously shared pictures from their heartwarming reunion and adoption day! Are they not the most beautiful pictures?? Please contact us at hosting@ccaifamily.org if you feel the call to host an orphan this summer. We’re starting a new hashtag. Every Friday, we’re going to try to feature a CCAI family story that will make you smile from ear to ear and feel all warm inside. If you have a heartwarming story that you would like to share, please tell us about it and we’ll feature a new story every Friday! For our very first #FridayFeelgood, turn your heartlights on as our little man, Nathan, has his cochlear implants activated and hears for the first time! Nathan’s Activation from TerningClan on Vimeo.